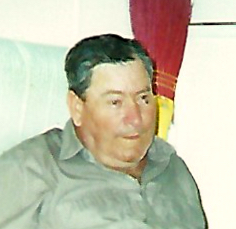 Mr. Joe Frank Champion 82, of Delco died Thursday, January 17, 2019 in Brunswick Cove, in Winnabow. He was born April 14, 1936 in Columbus County the son of the late Vander Champion and Donnie Norris Champion. He is survived by two sisters, Lula Jane Senior of Pensacola, FL and Irene Lunning of Virginia Beach, VA. He was preceded in death by his parents; a brother, Mack Godwin and a sister, Mary Lee Norris. His funeral service will be at 1:00 pm Tuesday, January 22, 2019 at Peacock Funeral Home Chapel. Burial will be in the Champion Cemetery in Delco. His family will receive friends one hour prior to his service at Peacock Funeral Home.